The all new 2014 Peugeot 308 which will go on sale later this year worldwide real images leaked. This model will is a facelift of the current Pug 308 turbo, Vti and griffe in Malaysia soon. 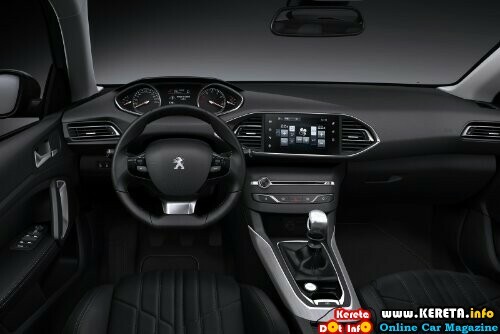 Here are some images with the specification of Peugeot 308 baru. Access, Active, Allure and Feline. Peugeot is also offering a 1.6 THP rated at 125 HP (92 kW) in the Active trim. We should also mention the 308 Active with the 1.6 e-HDi FAP generating 115 HP (85 kW). The most powerful engine is a 1.6 THP tweaked to output 155 HP (114 kW) available for Allure spec and the range-topping Feline full spec. Depending on trim level, optional goodies include 17- or 18-inch alloys, panoramic roof, metallic paint, uprated audio system, along with various packages like Driver Assistance and Comfort. 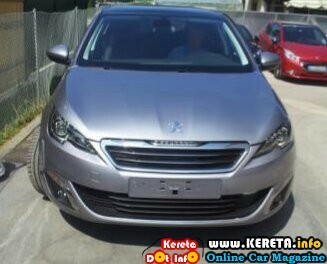 For those aiming to buy the new peugeot, it is a worth to wait for this all new peugeot 308 turbo and vti 2014 in Malaysia. TURBO INTERCOOLER AS A GRILLE?